The Islington Insights project uniquely combines two teams of resource, QES providing the Technical know-how and Islington Council providing the valuable operational experience gained over the last decade. 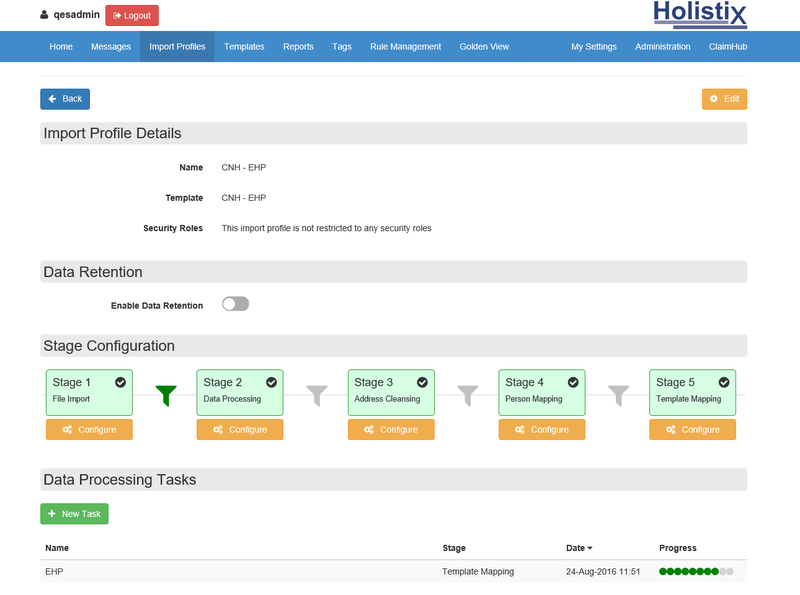 Both partners have invested in the design, development and implementation of the toolset, therefore making it a robust and readily available solution for other organisations to utilise, off the shelf. The QES team have been providing mass data warehouse and matching tools to the public sector since 2009. The applications have evolved over time and now comprise a very user friendly secure web accessed warehouse, where mass data can be either automatically gathered or simply uploaded, a data matching suite of tools and a robust Ad Hoc reporting creation service. The Hub uses logical algorithms set by your authority to match individuals to their records within other data sources, but importantly supports manual matching, where logic isn’t a strong enough connection. Once created, all the Golden Records are automatically updated with any subsequent mass data refreshes. 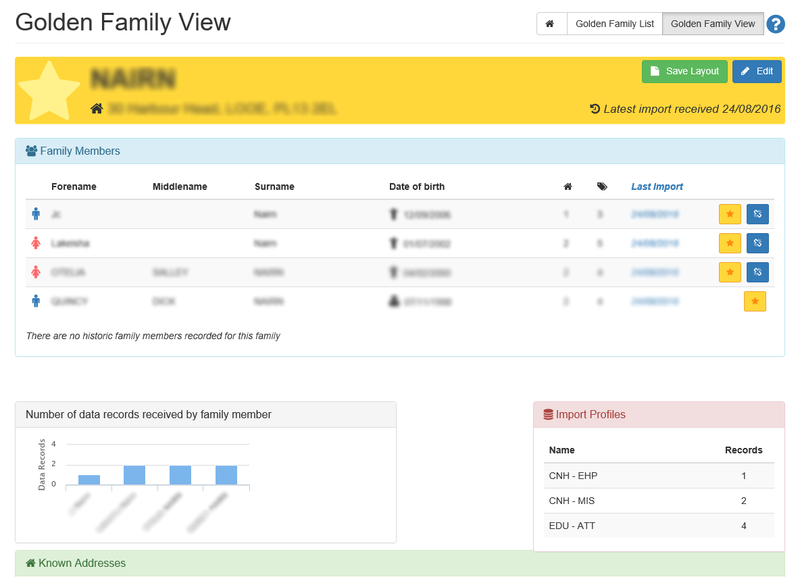 With family centric Golden Record tables available within the database, users with an appropriately high accessibility level can query and report any aspect of the families information. 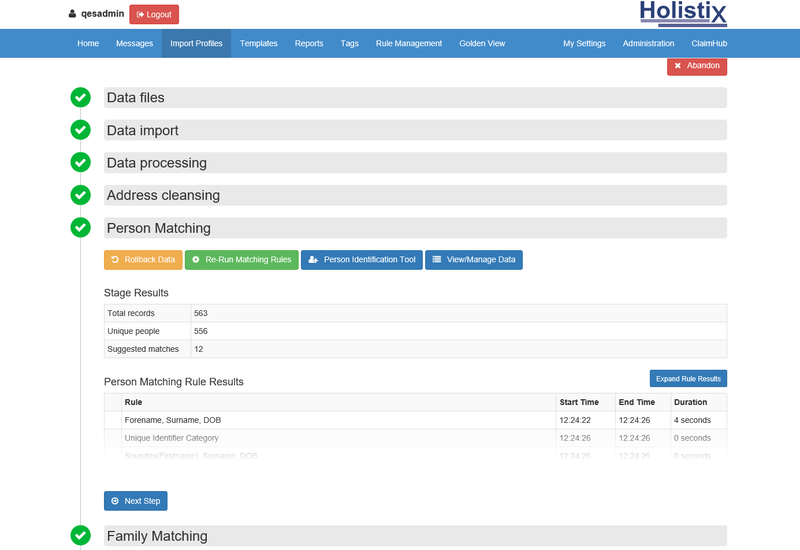 The Hub uses logical algorithms set by your authority to match individuals to their records within other data sources, but importantly supports manual matching, where logic isn’t a strong enough connection. Moreover, rules are created to produce suggested matches with varying predefined levels of confidence. Similar processes are also applied to addresses, using pattern recognition, and families. Through this process, the Hub will create an unique identifier for each person, family and address. The Hub can store a large range of collections and volumes of data. 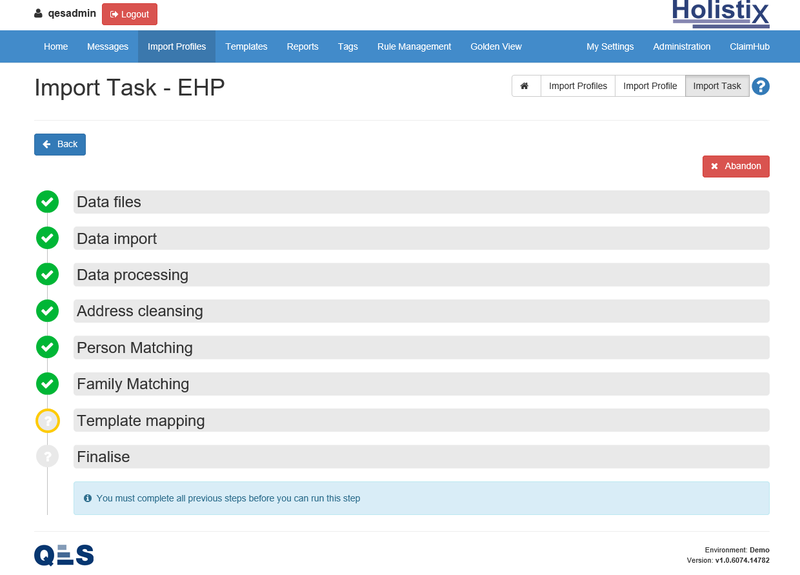 Also, the Hub provides functionality to manipulate data into a form suitable for further analysis and processing. These operations are standard text, numerical and date transformations but also, can be supported by custom SQL. The processing executed can be used for reporting, matching and data quality purposes. Each data set has an import profile created for it. In the profile configuration, the data processing is set up, person and address fields are mapped and templates are created to store your data. Templates allow your processed data and matched person and families to become available for reporting. Thanks for getting in contact with us, we have received your form and will be in touch with you shortly.